Oh, hey, guys! Your old friend Allison here. In the last few months, I have gotten serious about working out and eating clean, but you know what kind of the grossest thing is when you realize you have let yourself go a little and decide to get serious about your body again? Trying to find workout clothes that make you feel slender and willowy. Now, black Wunder Under Crops from Lululemon are a given. I struggle most with finding a workout top that is form-fitting while acting as workout Spanx. You know the kind I mean. 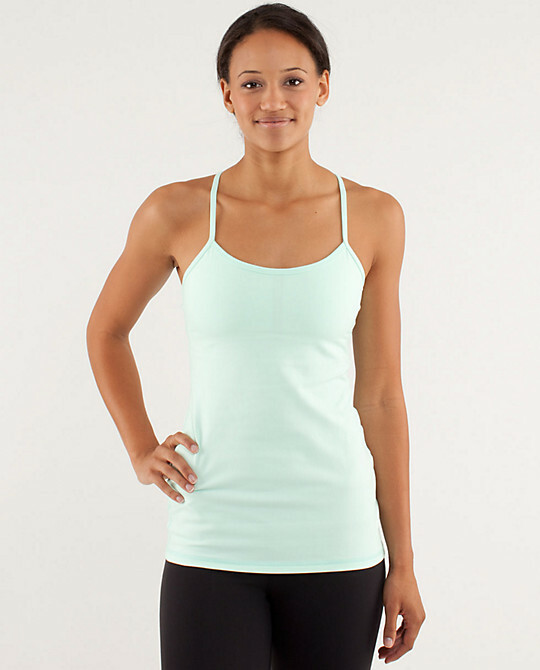 I have one raspberry pink Scoop Neck tank from Lululemon which I have had for years, and fits the bill perfectly. Alas, they aren't currently selling any on their website and I've heard that they changed the material to one which I fear will do less to "mask" lumps and more "enhance" them. Now, here's the thing about my body (it's a wonderland? duh.) - I have what Julia calls a "feminine" shape - an hourglass, if you will. Sidenote, Sunday night while we were watching Girls, Ben told me that I have "a Marnie body." It was so nice and so untrue and I am so obsessed with Marnie that it really touched my heart. Anyway. I've found that if I try to wear a baggy top, I literally look like a giant trapezoid. Some days, my small-ish ribcage is my only saving grace. I also tend to gravitate towards tops that are simple and solid colored (obviously). Keeping that in mind, check out some of the options that I think might keep me motivated to keep hitting barre classes - and let me know if you know of any I haven't listed here that would be up my alley! Great post! I too have been taking this kind of stuff more seriously lately after some pictures of me from Christmas vacation surfaced that I was unhappy with. (what?! that's not me!) Anyways, I was wondering if you had any good blogs or books to recommend on the subject of clean eating? I love the Clueless pic! And great recommendations on tops!! I'll definitely have to try these out! Check out these from LivFit - they are sooo cute! ahh clueless pic is hilarious! cute workout gear is a great way for motivation. I JUST downloaded the vampire diaries cover of springsteen too! I have nominated you for the liebster blog award!! Come see my post to know what to do! Love these options! I just started to get back on track with some sort of exercise routine and love the last pic super cute. I love Clueless!! Such a cool post. Do you want to follow each other? Let me know.